Visit Asia Travel is the premium Business to Business (B2B) Tour Operator & Local Ground Handler for worldwide partners. The company established since 1999 by a young enterprising businessman supported by a team who have decades of experience in hotel management, airlines and travel industries. 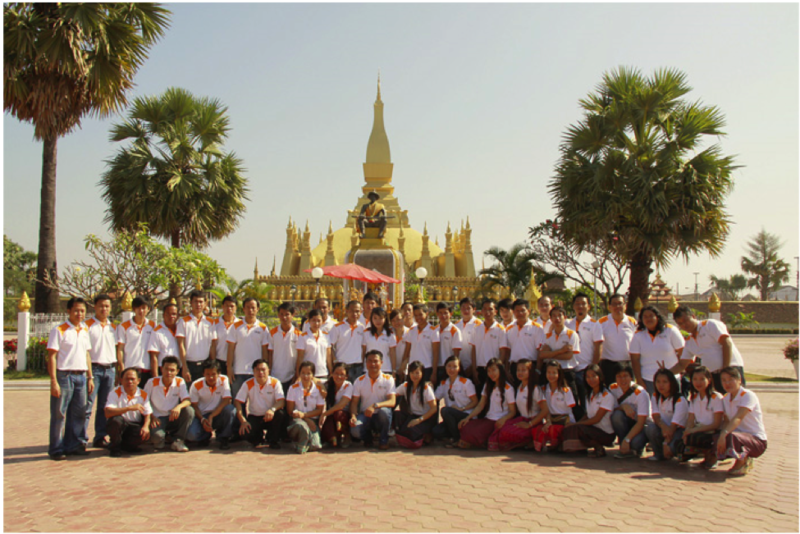 The Company’s Head Office is in Laos, the Branch Office in Luang Prabang and Sales Representative offices in Vietnam, Cambodia and Myanmar. Who is Visit Asia Travel? We are a Southeast Asia Tailor-mate specialist and Destination Management Company (DMC) who has decades of experiences in tourism industry. We are able to serve the luxury travel market, catering for the discerning travellers, as well as the adventure travel market as we are extremely active in seeking out new destinations in Southeast Asia. Since inception in 1999 we have expanded our operations to the 4 current branch offices with a total current staff base on 43 experience members. Drawing on our strength and past experiences offering a quality of service unparalleled in Southeast Asia. Due to the fact that we are a locally base company and have many local partners, we assure you that our prices are extremely competitive and definitely cheaper without compromise in our service standards compared to international companies who have to transact with another parties. How Visit Asia Travel Works? After choosing to work with us you will be assigned a personal sales consultant who has experience in dealing with airlines, customize package tours and knowledge of many other areas to meet any of your travel needs. These sales consultants would serve as your point of contact with us. These sales consultants have a team of professionals supporting them, including an assistant, hotel and reservation managers, airlines counters as well as a fully dedicated operations team and an efficient accounts department. Our structure puts us in a different league compared to the many poorly organized ground handlers which you may have encountered in South East Asia. We also have a strict policy of answering all emails and queries within 24 hours for offline requests. Another point to note is that we employ numbers of full-time guides and drivers. This ensures that we can assess, improve and maintain the quality of staff in contact with your clients. Other ground handlers are more likely to use all 'freelance' guides who might have poor service altitudes or are in-experienced finally undercut its tour prices for the lowest and offer poor services to customers. As we treat our staff very well with excellent pay and incentives i.e., free healthcare plans and staff familiarization trips both overseas and within the country, therefore you will also be working with a happy and motivated team of staff at Visit Asia Travel. We believe you would have an extremely positive working relationship with our reliable team.